身处变声期的B宝 你还喜欢吗 "Mistletoe" was written and produced by the hit making Canadian duo known as The Messengers (Nasri and Adam Messinger). The Messengers first wrote and produced Justin's chart-dominating hit of early 2011, "Never Say Never," title track off his hit concert film, Never Say Never. In addition to "Mistletoe," the Messengers wrote and produced the songs "Christmas Love" and "Home For Christmas" (featuring The Band Perry). 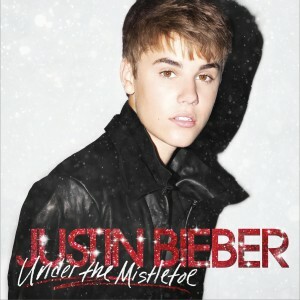 The album UNDER THE MISTLETOE was Produced by Kuk Harrell. In just two short years Justin Bieber has accumulated over 13 million Twitter followers, 36 million facebook friends and 2.2 billion combined views on You Tube and VEVO. UNDER THE MISTLETOE is 17 year old Justin's fifth release since he first arrived on Island Records/RBMG in November 2009 with My World. My World contained his worldwide debut hit, "One Time," the follow-up "One Less Lonely Girl," and two more chart hits, "Love Me" and "Favorite Girl." With that, Justin became the first solo artist in history to send four songs from a debut album into the Top 40 of the Billboard Hot 100 prior to the album's release. 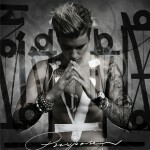 To date, Justin has amassed more than 11 million in worldwide CD sales.